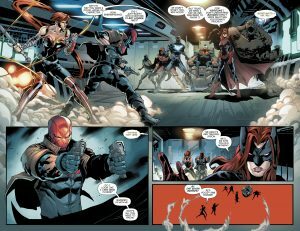 DC Comics Rebirth and Red Hood #15 Spoilers follow. 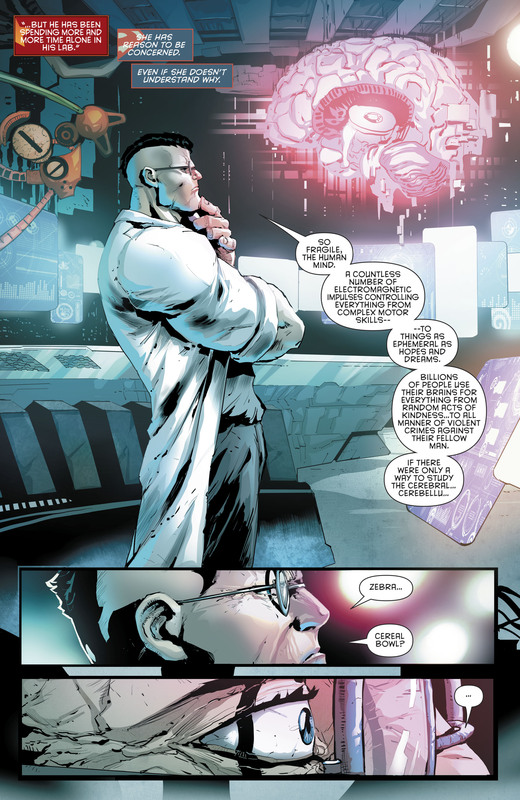 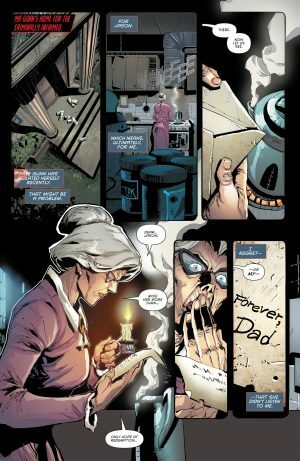 The book opens with a simmering mystery over a mysterious letter to Jason Todd, the Red Hood, from his dad. 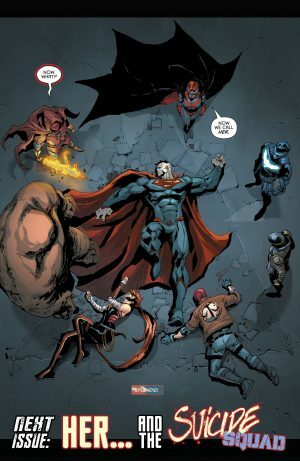 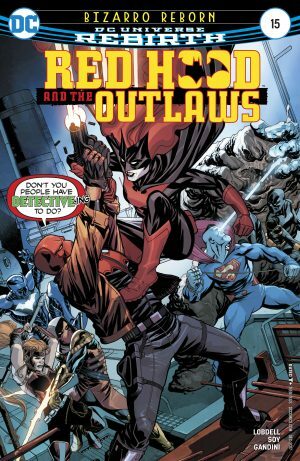 In terms of the action, it seems that the now super-smart Bizarro has told, in kind way, all other vigilantes in Gotham City to stand down as the Outlaws “have this”. 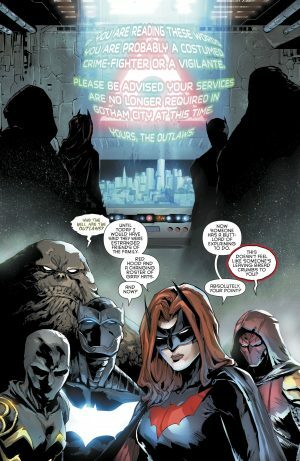 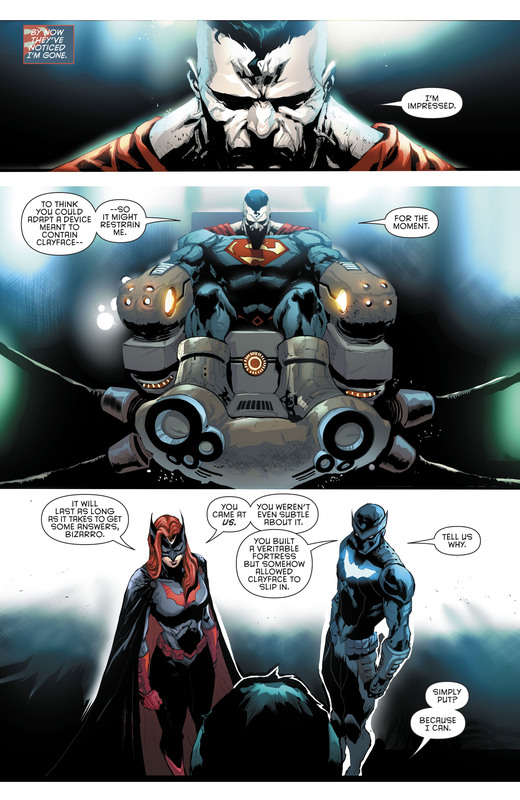 That does not go well with Team Batman from Detective Comics: Batwoman, Azrael, Orphan (Cassandra Cain) and Clayface. We also continue to see Bizarro relapsing back to his classic persona of man of few words and certainly not as smart. He’s been dealing with this for the last few issues I believe. I imagine its only a matter of time before we reverts back fully. I would have hoped the Outlaws would have lasted longer in the fight.